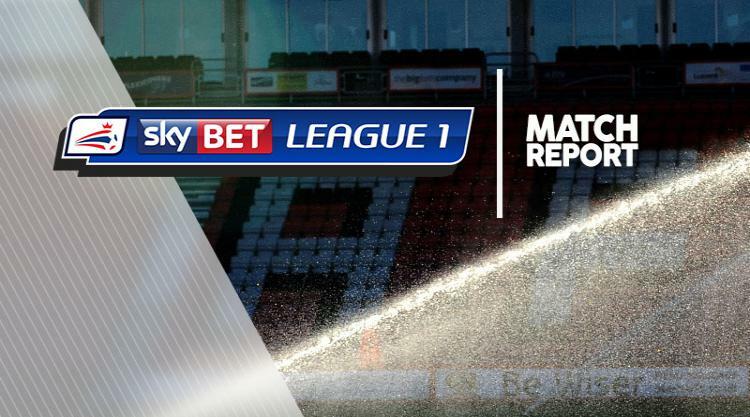 Sheffield United shrugged off conceding an early goal to overpower Chesterfield 4-1 at the Proact Stadium. Jon Nolan scored in the second minute but the Blades hit four in the second half through Kieron Freeman, John Fleck, Billy Sharp and Leon Clarke to stretch their unbeaten league run to 12 games. But they started sloppily and went behind when their former striker Ched Evans won the ball on the left and set up Nolan whose rising shot from 12 yards was too powerful for Simon Moore. The Blades should have equalised in the eighth minute when Sharp played in Dan Lafferty but he shot weakly at Ryan Fulton who made an excellent save in the 16th minute to deny Matt Done at the back post. United were dominating possession but the final pass lacked accuracy and Chesterfield could have increased their lead in the final minute of the first half when Ian Evatt's header from a Nolan corner struck the bar and Evans almost scored on the break in the 52nd minute but Moore pushed out his low drive. Fulton denied Sharpe at the other end but United's pressure told in the 54th minute when Fleck's cross was headed in from eight yards by Freeman whose celebrations in front of 2,700 visiting fans cost him a booking. Chesterfield almost regained the lead in the 64th minute when Evans' shot looped over Moore but Jake Wright headed off the line and United should have scored in the 68th minute but Done fired over from six yards. But United finally turned their dominance into goals with two in a minute as Fleck drove low past Fulton from 20 yards in the 72nd minute before Duffy crossed for Sharp to head in. Clarke fired in from 20 yards in the 81st minute to leave Chesterfield rooted to the foot of League One.